Our NEW Lightweight ergonomically designed IIIA Concealable vest is now designed with a much lighter and more comfortable fiting platform with a combination of moisture wicking fibers and fitting much more close to the body making it an easier wear throuought your shift. This new design allows free unrestrictive movements and physical activity while fitting much closer to the body reducing body load. The old style velcro straps that use to hold and adjust the vest in the shoulder area have been completely replaced with the much more comfortable shirt style snug fit. 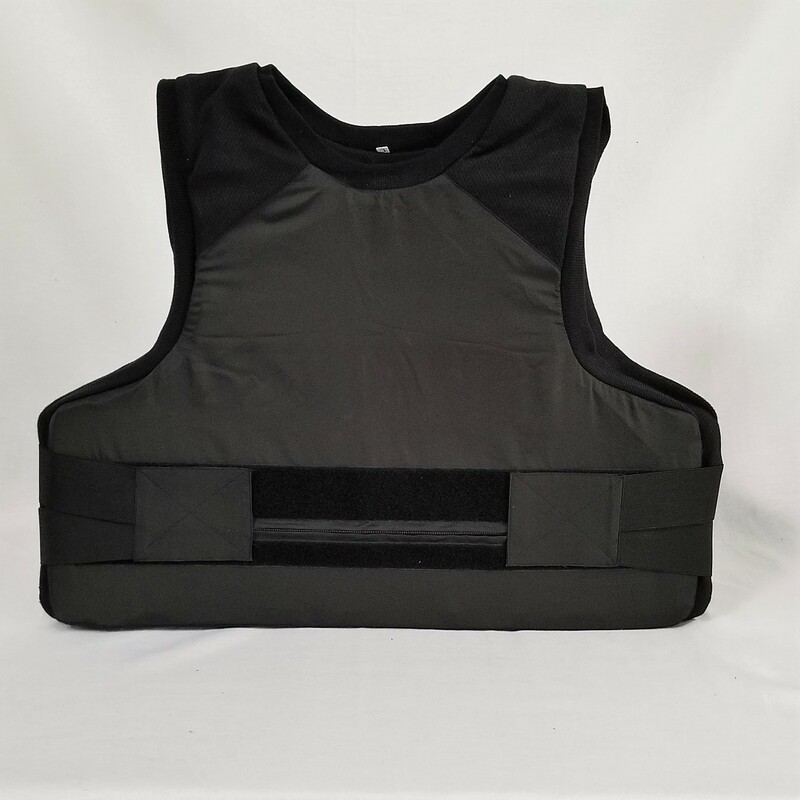 This new design is perfect for any Patrol or other Uniformed assignment that may require a concealable armor vest. It offers a IIIA protection level yet still maintains a custom low profile signature when worn under a uniform shirt. The interior of the vest now has Hard Armor Plate Pockets on the front and rear allowing multiple sized Armor Rifle Plates. This NEW design is Multi Hit capable, has adjustable straps for freedom of movement, extensive side protection, easily maintained removable panels and overall great weatherability. Cover is machine washable and made of moisture wicking materials. This combination of our proven lifesaving products is a true one of a kind system designed to keep you safe and bring you home at night. MOST WIDELY USED TRAUMA KIT IN LAW ENFORCEMENT TODAY! Developed in 2009 by our Tactical Medic Police Officers and Special Operations Combat Medics, this is the our Generation II Trauma Plate Pack. The overall design has been improved to create much less of a footprint in your pocket and still remain the thinnest in the industry. The pack is created to fit in almost any pocket in and under the uniform including your body armor thus keeping the kit "on the officer" where it will be immediately accessible and not locked away in the patrol car. This advanced patenened design is made of a material that is proven to withstand minor slices or punctures and rugged enough to be skipped, thrown or kicked across a pavement surface to a wounded officer if he/she is inside a hot zone and rescue is not readily available.. The overall thickness of this pack is approx 1/4 inch. It is very thin and plyable making it effortless to access and comfortable to wear. The shelf life of the pack is listed at 4 years but is expected to last well beyond depending on the environment in which you operate. It has the same critical items as all our Original Patrol Pocket Pack Series Kits. This kit is specifically designed with a one hand deployment principle in place. You never know where you may take that round and having a kit is paramount but having a kit that can be deployed with one hand is a critical! 1- Hemostatic Gauze 3"x9", 1- OSS Combat Compression Dressing 1- SWAT-T Tactical Wrap Tourniquet, 1- 3" Compressed Gauze, 1- Pair of Blue nitrile gloves, 1- Tourniquet Field Application Card, all contained in our uniquely designed "skip pack".